A major fire broke out at Mumbai's RK Studio ground floor. 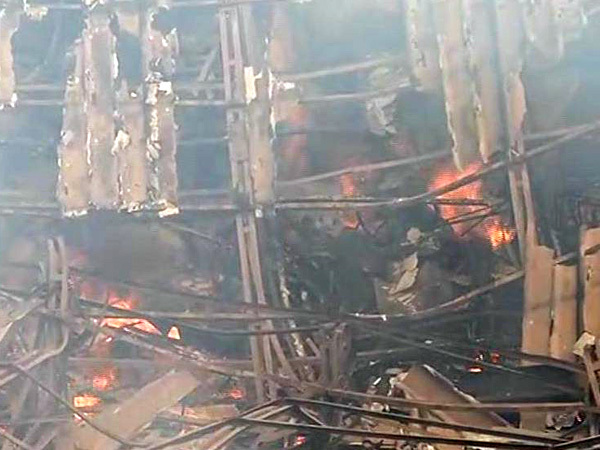 Mumbai: A major fire broke out at Mumbai's RK Studio ground floor on Saturday afternoon. According to officials, the level-two fire was confined to electric wiring, electric installation, decoration equipment in 100×80 sq ft area on the ground floor of the building. Six fire engines, five water tankers and 12 ambulances were rushed to the spot to douse the flames.